One of the world's leading warranty researchers takes a look back at the most recent 35 years of his illustrious career, noting some of the people, places, and publications he's connected with over those decades. But he's not done yet, and he's proposing three additional topics for further research. see the Guidelines for Editorial Submissions page. Academic researchers are constantly looking for new topics to research. Some restrict their search to narrow specific disciplines whilst other look across disciplines. I had been researching in mathematical system theory and in maintenance since 1970, but an incident occurred in 1978 which trigged my interest to research warranties. This was a serendipitous event. It led to me doing research on various topics in warranty over the last 35 years which have cut across several different disciplines and which have produced collaborations with many academic researchers and industry practitioners across the globe. I felt that I needed to reflect back for three main reasons: 1) to trace the evolution of my research over this period, 2) to acknowledge the researchers and practitioners with whom I interacted and 3) to briefly define possible future research. In 1979, I bought a new car with a 12-month warranty. The automatic transmission failed three times, with the last failure occurring in month nine of the warranty period. Each time, the transmission was replaced by a new one. After the third failure, I met the State Manager for the manufacturer to try to obtain an additional six months warranty for the transmission. We talked amicably for 30 minutes, but the manager refused my request. As I got up to leave, he said that he had met lots of people like me. I was not sure what he meant by this statement and felt that it was offensive. A few days later I wrote a letter to the manufacturer explaining my problem, describing the meeting with the State Manager, his refusal of my request, and his parting comment. In the letter, I mentioned my qualifications (Master of Engineering from the Indian Institute of Science and Ph.D. from Harvard University) and that I was a Senior Lecturer in the Department of Mechanical Engineering at the University of Queensland. A few weeks later, the secretary to the State Manager called me to say that he wanted to meet me in person to discuss my request for additional warranty. I made an appointment for the meeting. When I was led into the manager's office, I stood at the threshold of the door and stared at him for a couple of minutes, and then I opened the discussion by asking him whether he had ever met anyone like me. He responded by saying that he certainly had not. I told him that the reason for my writing the letter was his comment which was I felt was offensive. He apologised and asked me if an extra 12 months warranty would be acceptable to me. Warranty can be viewed as a maintenance service contract where the manufacturer carries out corrective actions to rectify any problems (such as the item not performing as expected, failures of components, etc.) that the customer experiences over the warranty period. Since I had already been researching in maintenance, I felt that warranty would be a new and worthwhile topic for research. The initial aim was to look at warranty policies and build models for warranty cost analysis. I suggested this as a research topic to my student Dinh Nguyen for his doctoral thesis. He had looked at maintenance modelling for his master's thesis and had the necessary academic background. Dinh's initial investigation of the literature indicated that only a few papers had appeared dealing with warranty cost per item. The majority of these papers looked at single failures over the warranty period which is appropriate for the cost analysis of a non-renewing pro-rata warranty (PRW) policy. The paper, by Blischke and Scheuer, was the only paper that looked at multiple random failures over the warranty period. They used a stochastic point process formulation to derive expressions for the expected warranty cost per unit for an item sold with a non-renewing free replacement warranty (FRW) policy. The FRW policy favours the customer whereas the PRW policy favours the manufacturer. Dinh's thesis formulated combined policies which included features of both FRW and PRW policies. It also looked at other topics such the cost rate over the product lifecycle and total lifecycle costs with sales rate changing over the lifecycle; the use of burn-in to reduce warranty costs for products with bathtub failure rate before items are released for sale as well as choosing between repair versus replacement of failed components. Dinh submitted his thesis and then, according to the rules of the University of Queensland at the time, the Head of the Department had to nominate three examiners, with at least one coming from overseas, and two being external to the university. I suggested to the Head of the Department that Professor Wally Blischke from the University of Southern California (USC) should be the overseas examiner. In his report, Wally was highly impressed by Dinh's thesis, and this led to Wally and I corresponding with each other. In 1986 or 1987, I stopped over in Los Angeles to meet Wally for the first time. Professor Ernie Scheuer also joined us for lunch in a Mexican restaurant. I had been thinking about extending the warranty cost analysis to two-dimensional warranty policies, with claims occurring as random points in a 2-D plane, where age and usage are the two coordinates. Neither Wally nor Ernie was keen on the topic, but Wally was keen to write a book on warranty. Historical: Origin and use of the notion. Legal: Court action, dispute resolution, product liability. Legislative: Magnusson-Moss Warranty Act, Federal Trade Commission, warranty requirements in government acquisition (particularly military) in the U.S., and the latest EU legislation. Economic: Market equilibrium, social welfare. Behavioural: Buyer reaction, influence on purchase decision, perceived role of warranty, claims behaviour. Consumerist: Product information, consumer protection. Engineering: Design, manufacturing, quality control, testing. Statistics: Data acquisition and analysis, data based reliability analysis. Operations Research: Cost modelling, optimisation. Accounting: Tracking of costs, time of accrual. Marketing: Assessment of consumer attitudes, assessment of the marketplace, use of warranty as a marketing tool, warranty and sales. Management: Integration of many of the previous items, determination of warranty policy, warranty servicing decisions. Wally and I developed a taxonomy for the classification of warranties, a framework to study warranty and a review of the models for warranty cost analysis as a starting point to writing the book on warranty cost analysis. We wrote a proposal for the book, and sent it to three publishers with a comment that we might also edit a warranty handbook, with chapters written by researchers in different disciplines to bring these researchers together, and then write a further book on warranty management that would be of interest to practitioners. All three publishers responded positively to our proposal for the first book and Marcel Dekker issued contracts for all three books. Wally and I decided to accept the Marcel Dekker offer. Instead of bringing a closure to what we had researched in warranty up to that point, we opened a Pandora's Box that led to both of us working on this topic for two more decades. I supervised five doctoral theses during this period. They covered a range of topics related to warranty, dealing with cost analysis and linking warranty with product development and manufacturing. Bermawi Iskanadar's thesis considered the cost analysis of two-dimensional warranties based on two-dimensional point process formulations. Non-conforming items result in higher warranty costs and Istiana Djamludin's thesis looked at quality control schemes to achieve a trade-off between the additional costs of inspection and testing and the reduction in warranty costs. Obaid Hussain's thesis dealt with reliability issues at the design stage, taking into account the implications for warranty costs from a product lifecycle perspective. An extended warranty (EW) may be viewed as a maintenance service contract between the provider (manufacturer, retailer or a third party) and the owner of the product. Ezzat Ashgarizadeh's thesis looked at game-theoretic formulations to characterise the optimal decisions for both parties. Warranties for second hand (or used) products are different from those for new products. The age and condition of the item play an important role as well as warranty terms such as exclusions, cost sharing, deductibles, etc. Gopi Chattophadaya's thesis studied a range of second hand warranty policies and their cost analysis. Wally Blischke and I finished our book on warranty cost analysis, which looked at different notions of cost (cost per unit, cost rate over time and lifecycle costs) for a variety of one- and two-dimensional warranties. We also contacted researchers from different disciplines for the purpose of editing our handbook on product warranty. We organised special sessions on warranty at several Institute for Operations Research and the Management Sciences meetings where we met several of the contributors. Wally and I learned a lot through our discussions with the contributors. Istiana Djamludin assisted us in compiling a bibliography of warranty publications up to 1994 based an exhaustive search of the literature, and this has over 1,600 entries! Product reliability plays an important role in decision-making for warranty management from a product lifecycle perspective. There are many aspects of reliability that are relevant, and there was no single book that looked at all of these in an integrated manner. Wally and I decided that we should write such a book before we started on a book on warranty management. We spent several years working on our book on reliability, as it required a multi-disciplinary approach. In the process of writing the reliability book, we decided to edit a book on case studies and contacted several researchers and practitioners, and this led to the handbook on case studies. Wally and I continued with our research into warranty management resulting in a joint paper and I supervised a master's thesis, which developed a framework for warranty management. Two books related to warranty were published by other researchers during this decade. The book by James Brennan focussed on planning, analysis and implementation of warranties for mainly defence products, and the book by Professor Izzat Sahin and Dr. Hakan Polatogu dealt with warranties, preventive maintenance and quality control. Izzat invited me to University of Wisconsin to give a seminar, and presented me with a signed copy of his book. He was keen on us doing some joint research, but sadly he passed away before we could start the work. Wally and I worked on the warranty management book and it was published in 2005. I had been interacting with researchers from Hewlett Packard (HP) on various topics for several years. Wally and I felt that a paper on warranty management written jointly with industry practitioners would have a greater impact on managers. We teamed up with Steve Kakorous (HP, France) and Dorothy Kuettner (HP, U.S.) and our paper was published in Warranty Week in 2007. Wally then decided to retire from research and devote his time to his other interests, and I also planned on doing the same but this did not happen. Instead, in 2000, I met Dr. Nat Jack at a seminar in Manchester. He had already done some research into warranty servicing, and this was the beginning of a partnership that would continue for the next 16 years. Initially, we focussed on strategies for the servicing of one- and two-dimensional warranties. From 2000 to 2005, I interacted with researchers from the Norwegian University of Science and Technology in Trondheim on topics related to warranty. The research with Professor Olav Solem and one of his students led to a paper which dealt with issues and challenges in warranty logistics. The research with Professor Marvin Rausand and Dr. Trond Osteras involved product reliability decisions in the New Product Development process with the link between warranty and reliability being a key factor. The outcome of this research was a book on reliability performance and specification. From 2006 to 2010, I interacted with researchers from The Technical University at Tampere and Alto University in Helsinki to look at extended warranties and maintenance service contracts. During this period I had the opportunity to meet people from several Finnish companies involved with warranty management. In 2007, I met Professor Kazuyuki Suzuki and Professor Rezaul Karim in Tokyo. Kazuyuki was one of the early researchers involved with the statistical analysis of warranty data, and Rezaul had obtained his doctoral degree under Kazuyuki's supervision. We explored the possibility of writing a book on warranty data collection and analysis. We started working on an outline and Kazuyuki dropped out for personal reasons. I contacted Wally Blischke to find out if he would come out of retirement and join Rezaul and myself in writing the book. I was surprised that he agreed to do so. It was interesting to interact with two statisticians at the same time -- Wally being the senior academic with a lot of experience and Rezaul the junior who was more familiar with the latest software for statistical analysis. 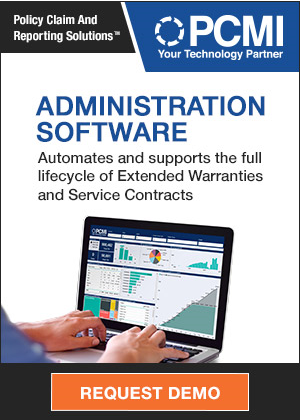 Our book was the first book dealing with all aspects regarding warranty data collection. Sadly, Wally Blischke passed away at the end of 2013 (see Warranty Week, Dec. 5, 2013). Two books relating to warranty were published by other researchers during this decade -- both focussing on warranty and product reliability. The book by Marlin Thomas deals with methods for product development and quality improvement in the context of reliability and warranty, and the book by Professors Bitendra Rai and Nauna Singh deals with the use of warranty data to assess product reliability. Nat Jack and I continued with our joint research, looking at new topics. One of these was to build models for decision-making using a game-theoretic framework. In 2012, we met in Lulea, Sweden, and during the course of our discussions we decided to write a book on the topic. Maintenance outsourcing, leasing and extended warranties are similar in many respects. Our book looked at all three of these applications in a unified manner. In late 2014, I was contacted by Dr. Ilkka Töyrylä and Mr Matti Kurvinen from Finland to ask if I would be interested in writing a book on warranty fraud management, which would combine their expertise in warranty fraud (mainly from a practitioner perspective) with my understanding of warranty from a broader perspective. I met them in Helsinki in June 2015 and agreed to their request. It was a new topic for me, and our book was published in early 2016. I then suggested to Nat that the game-theoretic approach should be applied for decision-making in the context of warranty fraud. This led to a joint paper on service agent warranty fraud. The following are a few topics dealing with warranty which have the potential for further research. Extended warranty providers (manufacturers or third parties) usually provide a range of options. They differ in their terms (such as duration, items covered, cost limits, etc.) and price. These are the decision variables that the EW provider needs to select optimally. As a result, customers for EWs have several options to choose from. This leads to a game-theoretic situation with several players (EW providers and customers). The bulk of the literature deals with the simple case of one EW provider, one or more customers, no information asymmetry and perfect information, and with the EW provider as the "leader" and the customer(s) as "followers" in a Stackelberg game. The solutions to these types of game-theoretic model can be found in . When one looks at more than one EW provider, then there is competition between the providers, which leads to Nash game and a Stackelberg game between customers and EW providers. There may also be different scenarios of information asymmetry and information uncertainty. The models needed to obtain the optimal decisions (for all players) will be complex. This is an open area for lot of new research. Lessors who provide items on lease for use by customers when their failed item is under service. Inspectors who verify the cause of a defect and determine if it is covered by warranty or not. Logistics transport companies who pick up failed items from customers, deliver replacement or repaired items back to the customers, deliver items between different service agents, and manage the logistics of item replenishment, returns and recycling. Reverse logistic providers who repair, remanufacture, refurbish and or recycle returned items and parts. Underwriters and insurers who cover the costs when the warranty provider (manufacturer or third party) goes bankrupt. The various kinds of fraud that occur in the process are described in . The "perpetrators" of the fraud may act alone or in collusion and there may be more than one "victim." Nat Jack and I  formulated a very simple game theoretic model, with the service agent as the perpetrator and the manufacturer as the victim, and the optimal decisions for each party were characterised when both parties have complete information. If one looks at the case where there are two or more perpetrators (either acting independently or in collusion), with one or more victims and different scenarios of information asymmetry and information uncertainty are also considered, then the model formulations to characterise the optimal decisions become more complex. This offers lots of scope for new research. Product reliability impacts on warranty costs. Warranty costs are reduced as the reliability increases, but this achieved through greater investment in research and product development. New products are usually an improvement over earlier products with changes to the design. Reliability and warranty decisions for a new product need to be done jointly during the new product development process. deals with product reliability from a strategic new product development perspective. The use of warranty servicing data plays an important role in deciding on the reliability of a new product as is indicated in the figure below. An area for potential research is the building of new and more realistic models to assist the decision making for effective management of reliability and warranty. Also, there is a need for new tools and techniques to assist in data analysis, integrating subjective assessment of designers with the objective data collected during development and testing. As mentioned earlier, my involvement with warranty research was serendipitous. Every topic that I researched opened up new areas for further research and this has kept me active for over thirty five years. I could not have achieved the results without the involvement of the students that I supervised and the researchers around the globe who triggered new ideas for research which often resulted in joint projects. The names of the most important people appear in the references listed below. However, there are also many others whom I have worked with and these include the following: Professor J. W. Baik, Professor H.Z. Huang, Dr. J. Jaturnnate, Professor C.S. Kim, Professor U. Kumar, Mr. Z.J. Liu, Mr. T. Roren, Dr. R.J. Wilson, Dr. Z.S. Ye and Professor W.Y. Yun. I am privileged to have interacted with these researchers, and it has been productive and satisfying. I have now stopped doing any more research into warranty, and I leave it to others to carry out more research in the future. Blischke W.R. and Scheuer E.M. (1975), Calculation of the cost of warranty policies as a function of estimated life distributions, Naval Research Logistics Quarterly, 22, 681-696. Nguyen D.G. (1984), Studies in Warranty Policies and Product Reliability, Unpublished doctoral thesis, The University of Queensland, Brisbane, Australia. Blischke W.R. and Murthy D.N.P (1992), Product warranty management - I, a taxonomy for warranty policies, European Journal of Operational Research, 62, 127-148. Murthy D.N.P and Blischke W.R (1992), Product warranty management - II, an integrated framework for study, European Journal of Operational Research, 63, 261-281. Murthy D.N.P. and Blischke W.R. (1992), Product warranty management - III, a review of mathematical models, European Journal of Operational Research, 63, 1-34. Iskandar B.P. (1993), Modelling and Analysis of Two-Dimensional Warranty Policies, Unpublished doctoral thesis, The University of Queensland, Brisbane, Australia. Djamaludin I. (1993), Quality Control Schemes for Items Sold with Warranty, Unpublished doctoral thesis, The University of Queensland, Brisbane, Australia. Obaid Hussain A.Z.M. (1997), Warranty and Product Reliability, Unpublished doctoral thesis, The University of Queensland, Brisbane, Australia. Asgharizadeh E. (1997), Modelling and Analysis of Maintenance Service Contracts, Unpublished doctoral thesis, The University of Queensland, Brisbane, Australia. Chattopadhyay G. (1998), Modelling and Analysis of Warranty Costs for Second-hand Products, Unpublished doctoral thesis, The University of Queensland, Brisbane, Australia. Blischke W.R. and Murthy D.N.P. (1994), Warranty Cost Analysis, Marcel Dekker, New York. Blischke W.R. and Murthy D.N.P. (eds.) (1996), Product Warranty Handbook, Marcel Dekker, New York. Djamaludin I., Murthy D.N.P. and Blischke W.R. (1996), Bibliography on Warranties, in W.R. Blischke and D.N.P. Murthy (eds.) (1996), Product Warranty Handbook, Marcel Dekker, New York. Blischke W.R. and Murthy D.N.P, (2000), Reliability: Modeling, Prediction, and Optimization, Wiley, New York. Blischke W.R and Murthy D.N.P. (eds.) (2002), Case Studies in Reliability and Maintenance, Wiley, New York. Murthy D.N.P. and Blischke W.R. (2000), Strategic warranty management: A lifecycle approach, IEEE Transactions on Engineering Management, 47, 40-54. Lyons K.F. (2001), Development of a Warranty Management System, Unpublished master's thesis, The University of Queensland, Brisbane, Australia. Brennan J.R. (1994), Warranties: Planning, Analysis, and Implementation, McGraw-Hill, New York. Sahin, I. Polatogu, H. (1998), Quality, Warranty and Preventive Maintenance, Kluwer Academic Publishers, Boston. Murthy D.N.P. and Blischke W.R. (2005), Warranty Management and Product Manufacture, Springer Verlag, London. Murthy D.N.P., Blischke W.R., Kakouros S. and Kuettner, D. (2007), Changing the Way We Think About Warranty Management, Warranty Week, [June 19, 2007]. Murthy D.N.P., Solem, O. and Roren T. (2004), Product warranty logistics: Issues and challenges, European Journal of Operational Research, 156, 110-126. Murthy D.N.P., Rausand M. and Osteras T. (2008), Product Reliability -- Specifications and Performance, Springer Verlag, London, 2008. Blischke W.R., Rezaul M.K. and Murthy D.N.P. (2011), Warranty Data Collection and Analysis, Springer Verlag, London. Thomas M.U. (2006), Reliability and Warranties: Methods for Product Development and Quality Improvement, Taylor & Francis Group, Boca Raton FL. Rai B.K. and Singh N. (2009), Reliability Analysis and Prediction with Warranty Data: Issues, Strategies, and Methods, CRC Press, Boca Raton. Murthy D.N.P. and Jack N. (2014), Extended Warranties, Maintenance Service and Lease Contracts: Modeling and Analysis for Decision-Making, Springer Verlag, London. Kurvinen M., Töyrylä, I. and Murthy D.N.P. (2016), Warranty Fraud Management: Reducing Fraud and Other Excess Costs in Warranty and Service Operations, Wiley, New York. Murthy, D.N.P. and Jack N. (2016), Game theoretic modelling of service agent warranty fraud, Accepted for publication in the Journal of Operational Research (UK). 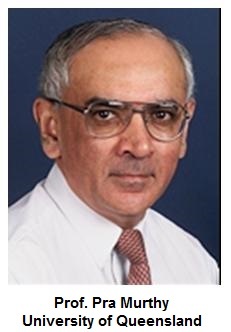 Pra Murthy (email: p.murthy@uq.edu.au) obtained B.E. and M.E. degrees from Jabalpur University and the Indian Institute of Science in India, and M.S. and Ph.D. degrees from Harvard University. He has been with The University of Queensland since 1972 and has held various positions including Professor of Engineering and Operations Management and Director of the Technology Management Centre. From 2005 to 2009, he was Research Professor in the Division of Mechanical Engineering at the University of Queensland. Since 2010, he is an Emeritus Professor at The University of Queensland. In addition, he has held visiting appointments at several universities in the U.S., Europe and Austral-Asia. Pra's research interests included various topics in system theory, numerical methods, operations management, technology management, reliability, maintenance, warranties and service contracts. He has authored or co-authored 25 book chapters, 170 journal papers, and 156 conference papers. He has co-authored nine and co-edited three books. Pra has run short courses for industry on various topics in technology management, operations management, and post-sale support in Australia, Asia, Europe, and the U.S. He has consulted for several businesses in Australia, Asia, Europe, and the U.S. Product warranties & insurance: Are these extras really worth the cost? Peterson to provide marine warranty services to Engie E&P UK. FieldTurf makers face lawsuits for defective turf. Professional Warranty Service Corp. releases structural warranty survey. Navistar losses rise on higher pre-existing warranty adjustments. Electric car battery warranties compared. Until March, BRP offers 10-year warranty promo on Evinrude engines. Vacuum cleaner seller Godfreys fined for misleading extended warranties. Zambian regulators to develop warranty guidelines. ASIC says worthless warranties are fooling Australian car buyers. NY Attorney General urges holiday shoppers to compare warranty terms. Florida builders award goes to 2-10 Home Buyers Warranty. Progressive to distribute Warranty Direct's mechanical breakdown plans. Farm equipment builders offer certified pre-owned programs. Class action suit claims artificial turf fields break down prematurely. Apple offering free AirPod battery replacements under warranty. America's Preferred Home Warranty nominated for Michigan award. StrucSure Home Warranty sales VP gets award in El Paso. FFO Home to sell Fortegra furniture and bed service contracts. 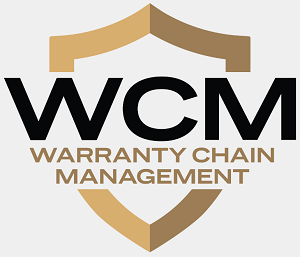 Mize to sponsor and exhibit at Warranty Chain Management Conference. A.M. Best affirms A- (Excellent) rating of Nissan Global Reinsurance Ltd. Despite defense victories, NJ warranty class actions are not going away. Supreme Court rejects AIG ex-CEO's bid to escape civil fraud charges. The Warranty Group study reveals surprising attitudes toward service contracts. FieldTurf stands firm on its product, despite reports. Royal Protection Plan answers questions about vehicle service contracts. Allstate will soon start insuring your smartphone. Cummins intros unlimited mileage warranty on B6.7 engine. Mize releases next generation of its Connected Customer Experience platform. Pebble shuts down and its smart watch warranties won't be honored. Lawmakers demand big artificial turf investigation. Extended Warranty & Service Contract Innovations set for Sept. 13-15. Most credit cards offer extended warranties, CreditCards.com report says. List of credit cards that feature extended warranty coverage. Western Digital extends warranty for My Passport from 2 to 3 years. Dozens of local schools and parks have faulty artificial turf. FieldTurf athletic surfaces play to mixed reviews on Staten Island. The Warranty Group taps Nelson Chai as its new CEO. Toll Brothers earnings slide 16% on impairment & warranty charges. Incredible Connection offers free accidental damage coverage in S. Africa. BestCompany.com releases top 10 vehicle service company list. RAC sees 30% growth this year, adds 14 agents. Laptop product warranties in Australia detailed. Consumer finds that lifetime warranties can die an untimely death. Apple's iPhone 7 has a nasty new surprise. Documents reveal a trail of deception by FieldTurf. Paul and Graham Kelly caught selling bogus garage door extended warranties. McLaren offers 12-year unlimited mileage extended warranties. Protective completes United States Warranty Corp. acquisition. American Home Shield acquires Landmark Home Warranty. Putting together the puzzle of Allstate's $1.4 billion SquareTrade purchase. Artificial turf a likely health hazard at schools. How CFPB plans to regulate certain cellphone carriers. Toco Warranty offers vehicle service contracts online. Industry insiders say handset insurance market is becoming huge. Sleep Number ranks highest in J.D. Power 2016 Mattress Satisfaction Report. HP offers promotional on-site warranty to printer buyers in Manila. Sears service department is in shambles, customers claim. Allstate acquires SquareTrade from Bain Capital for $1.4 billion. Tesla Powerwall 2's warranty explained. Account takeover attacks and warranty fraud at FitBit. Kia Australia credits seven-year warranty for sales boom. Everything you need to know about lemon laws. Warranties seen as huge benefit of buying farm equipment new. FieldTurf says recent articles grossly misrepresented its conduct. Another school says FieldTurf field failed years before expected. Autoguard Warranties says dealers need more sales training. Consumer Priority Service says LG doesn't have TV part in stock. IT Madness ditches Kyocera after extended warranty argument. Illinois appellate court rewrites builders warranty laws. Ratings for the top 10 home warranty companies. Dent too big for dent and ding policy. Apple says iPhone 6 Plus touch disease caused by damage. Jeep plans five-year warranty for Australia. Nigerian regulator warns against purchase of goods without warranty. FieldTurf's artificial football fields failed across Georgia. Despite failures, San Diego schools just can't quit FieldTurf. 2-10 Home Buyers Warranty moves VP Jeanine Jones to Dallas. Better Business Bureau says expiring warranty scam is returning. Author puts US Fidelis on his top 10 vehicle service contract list. iWarranty Solutions offers monthly service contracts. Columnist says make sure you are capturing every auto warranty dollar. Jaguar Land Rover warranty costs rise and margins fall. AARP and Frank Abagnale launch effort to end tech support scam. What do construction warranties have to do with arbitration? Safeware aims to become smoke-free through Corporate Wellness Program. Center for Auto Safety director Clarence Ditlow passes away. Microsoft offers refunds for Surface Pro 3 battery warranty charges. Columnist makes good use of his BMW M5 service contracts. Vehicle service contract for used Bugatti Veyron priced at £10,000. Florida motor vehicle office sells car title info to warranty scammers. FTC revises its used car information sticker. FTC approves final changes to its Used Car Rule. Continental earnings take a major hit over unspecified warranty costs. Microsoft issues refunds for some Surface Pro 3 battery swaps. Matrix Warranty Solutions partners with F&I Express. Farmers vow to keep wind turbines going after mfg Endurance collapses. Expired warranty postcards reappear in Ohio. Check the warranty when buying gaming chairs.